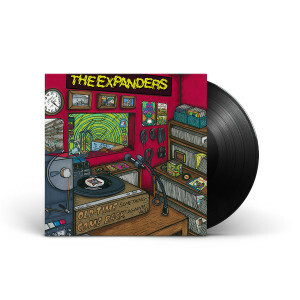 The Expanders have handpicked more of their favorite - and often lesser known - reggae gems from the foundational days of the genre. In the second volume of this series, they are putting their own touches on covers of these tunes, in an effort to continue educating current reggae fans on Jamaican reggae history, while keeping fans blissfully dancing and head nodding along. This features Expanders versions of tunes by Burning Spear, The Gladiators, Yabby You, The Ethiopians, The Itals, Little Roy, and many more. The vinyl version of this release includes every song, pressed on standard black vinyl, with a download card with MP3s included. Fantastic covers of roots reggae classics. Great album! Nice Album. Good ole jams! Slappa da bass mon. Cover Art is cool. Songs sound good. Heard of this band for a while. Caught a live version of there bass or guitar player doing some herb song at Cali Roots couple years back. Still haven't found what song that was. I am glad to add this to the collection.